Time for another skin care review and this time it is this lotion I have been using lately. 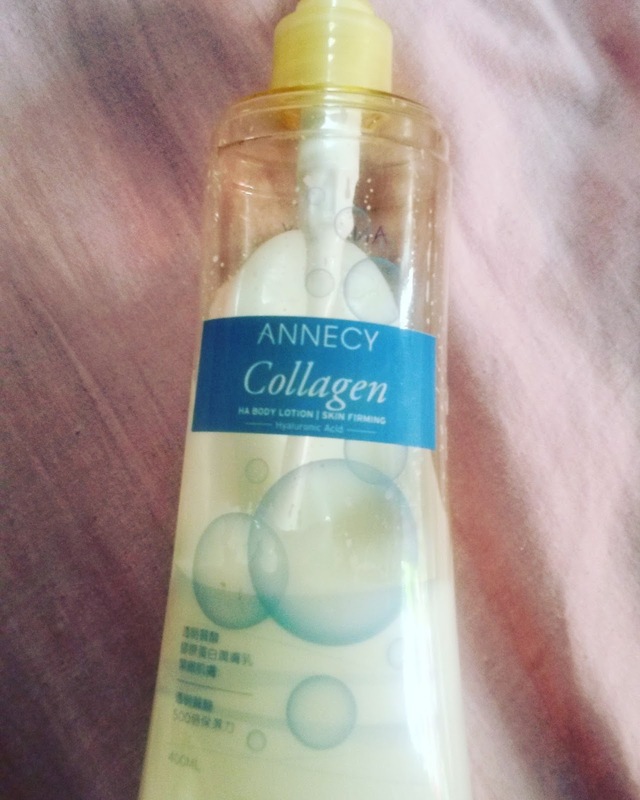 The Annecy Collagen Lotion which by the way was given to me by my cousin last June. You might be asking what is Collagen and what I think about this product. As for us women and moms like me who are in their 30s, it is important to take care of ourselves most especially our Skin. Self Care is very crucial and important for women and moms who are busy handling many things and wearing many hats may it be at the workplace or at home. Collagen is essential for our health and appearance. This protein is also necessary to reduce the typical signs of aging. Collagen is also an important building block for elasticity and it’s ability to reduce the appearance of fine lines and wrinkles. What I love about this Lotion is that it also contains Hyaluronic Acid, a moisturizing agent that is endowed with 500x moisture restoring and retaining capacity. I was surprised too that it has Sunflower Oil, Wheatgerm Oil and Trehalose – a killer combination that enhances skin moisture retention capacity and achieves antioxidative effect perfectly. Here is the current photo of the bottle and I am almost 3/4 usage. The bottle is almost empty. Overall, I love this product so much. I love the packaging and it is really moisturizing. I highly recommend this lotion. You may also check the website of Annecy Cosmetics or follow them on instagram Annecy Cosmetics. Disclaimer: This is not sponsored by Annecy. Review is based on my honest experience about the product.